The Beehive Mortice/Rim Knobs is part of the Beehive & Heavy Beehive Knob sets by From The Anvil. 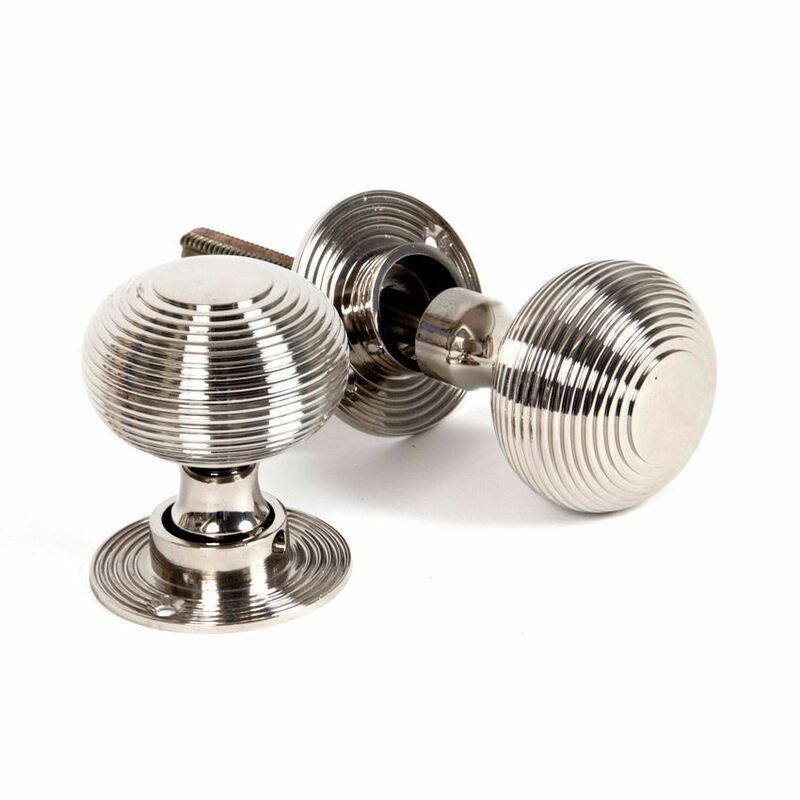 A highly polished finish with a nickel plating applied to a solid brass substrate. Very similar to a polished chrome finish but with a slightly warmer, yellow tone. Supplied with detachable roses, threaded spindle and matching fixing screws. Extra long spindle is available for very thick doors.